Right now, JamQuest helps over 20 kids in Kenya pursue their dreams through education. Without your help, these kids are unable to attend school due to their lack of funds to pay school fees. We want to be able to sponsor more and more kids through raising money by doing things that we love. 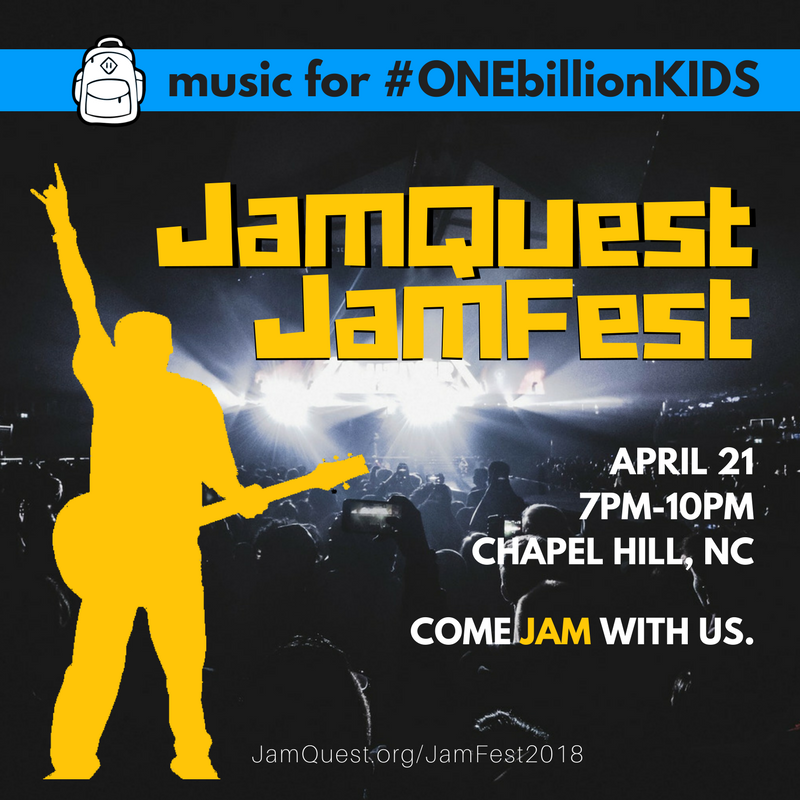 This year, to celebrate JamQuest’s 10th anniversary, North Carolina is hosting an epic concert to raise money and have a great time together raising awareness for these kids. Come JAM with us! $10 online. $15 at the door.